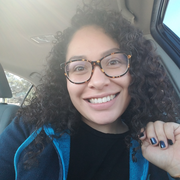 My name is Krissy Rivera, I am an outgoing 23 year old who enjoys being playing and learning with creative and vibrant individuals ranging from ages 5-13 . I have 6 years of babysitting experience that ranges from a few hours to temporary live in. Past responsibilities have been but are not limited to: preparing snacks/meals, helping with schoolwork, having lots of fun, day trips to museums, parks, or movies, preparing children for school- morning, picking children up from school, lots of playtime, and of course following schedules/activities/instructions left by clients. Currently in the process of obtaining Adult and Pediatric First Aid/CPR/AED Certificate. Krissy doesn't have any reviews yet.